Scrappy, street smart drug dealer Reggie Marshall has never liked the simpering addict Leland Bloom-Mittwoch, which doesn't stop Leland from looking up to Reggie with puppy-esque devotion. But when a drug deal goes dramatically, tragically wrong and a suitcase (which may or may not contain a quarter of a million dollars) disappears, the two men and their families become hopelessly entangled. It's a mistake that sets in motion a series of events that are odd, captivating, suspenseful, and ultimately inevitable. 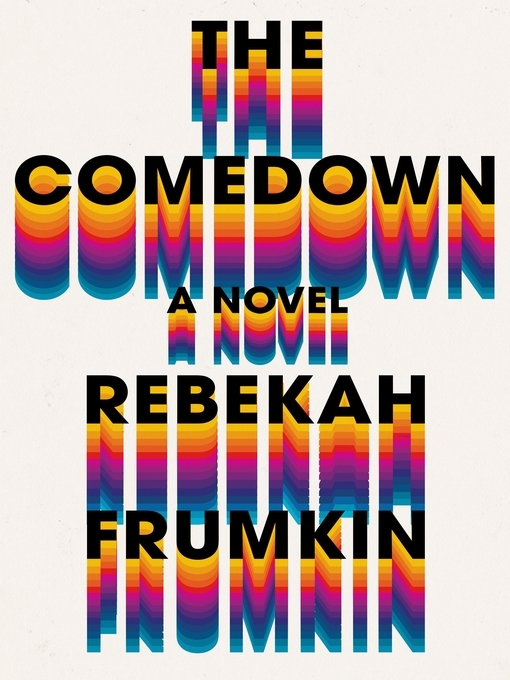 Both incendiary and earnest, The Comedown steadfastly catalogs the tangled messes the characters make of their lives, never losing sight of the beauty and power of each family member's capacity for love, be it for money, drugs, or each other.